MACQUARIE SCIENCE STUDENTS WIN GOLD! August 2015: MQ article on the 2015 Macquarie_Australia team – our 6th team! 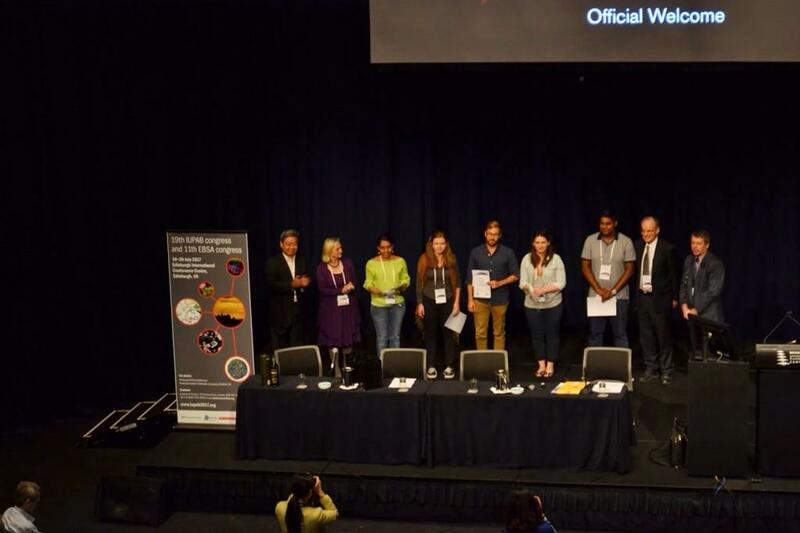 Congratulations to Phani Rekha Potluri (third from left) who was awarded a poster prize at the 2014 International Biophysics Congress held In Brisbane over Aug 3-7 ’14. Phani’s presentation was titled ‘Calcium sensitive effects of a hypertrophic cardiomyopathy mutation in cardiac Troponin by NMR’.